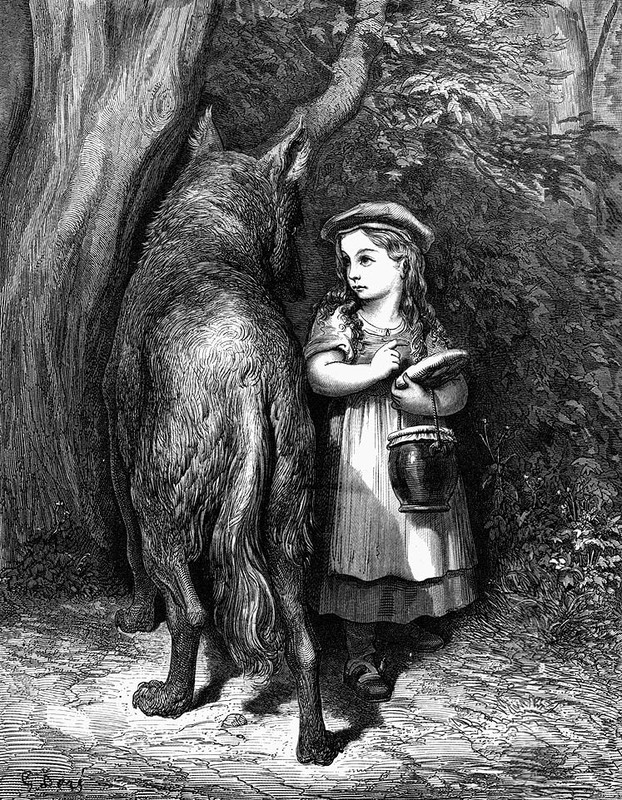 Little Red Riding Hood – On the verge of perishing for lack of knowledge. In January 1995, 14 grey wolves were imported from Canada and released into Yellowstone National Park. An additional four wolves were introduced into Idaho’s Frank Church Wilderness and eleven more along the Middle Fork of the Salmon River. In 1996, 20 more wolves were released into the Frank Church Wilderness area. Over the last two and a half decades grey wolf populations have exploded rapidly across our western states, (and also in the Great Lakes Region), prompting the U. S. Fish and Wildlife Service to seek a complete delisting of wolves from the threatened and endangered species list. The numbers have increased so rapidly in fact, that in 2010 the Federal government spent $4,566,000.00 to remove a total of 307 “problem” wolves that were habitually preying on livestock in the Rocky Mountain Region alone. That equates to about $15,000.00 of tax payer money spent for killing each “problem” wolf. The staggering cost of reintroducing and then managing these large predators has been compounded by recent legislation mandating that taxpayers pick up the cost of reimbursing ranchers and sheepherders for livestock losses. The U.S. Fish and Wildlife Service has already identified Adirondack State Park and two areas in New England as possible recovery areas. There are at present, two initiatives underway to safeguard a wolf corridor between Algonquin Park in Ontario and Adirondack Park. In July, 2010, the Center for Biological Diversity petitioned the Obama administration for a national recovery plan that would establish wolf populations in the Pacific Northwest, California, Great Basin, southern Rocky Mountains, Great Plains and New England. Introduction of the Red Wolf (a smaller subspecies) began in 1987 in the Alligator River National Wildlife Refuge (ARNWR) in northeastern North Carolina. As of July 2012, an estimated 700 red wolf pups have been born in the wild in North Carolina. 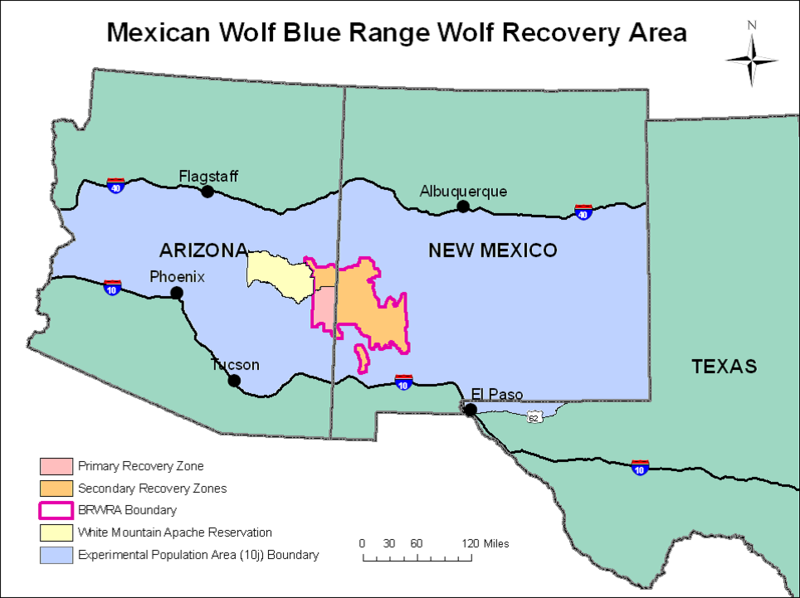 Captive reared Mexican grey wolves were released into Arizona and New Mexico in 1998. Recent Rocky Mountain Elk introductions in Kentucky, Missouri, Virginia and Tennessee are a precursor for later wolf reintroductions into those states as well. near you or your property. or solicit someone else to do them. Violators of the above “rules” are subject to criminal prosecution, imprisonment for up to one year, and fines up to $75,000.00. Wolf numbers are increasing rapidly around the world as they re-populate ranges where they were formerly expatriated from. Wolves are causing severe financial problems for sheep herders and ranchers not just in the United States, but also in Norway, Sweden, Spain, Italy, France and Germany. One rancher, just north of Spokane, Washington, has estimated wolf depradation has cost him $100,000.00 in cattle and calf losses this year alone. Such loses are financially unsustainable and pose a severe risk to the nation’s food supply. Yeah, I decided to jump in and publish my own blog again after a one year hiatus. Thought I’d start off with an update on wolf “reintroduction”. Pro-wolf comments are welcome, but please be respectful. Rude and/or slanderous comments will be deleted. Related to your topic, I noticed a headline this morning indicating that every once in a while common sense prevails over enviornmental extremism – right here in our neck of the woods. Hey Ruth, thanks for commenting. 2. With 9 to 12 wolf packs already “officially” established in Washington State, (and countless more just across the border in B.C., Idaho, and Montana), it’s just a matter of time, probably by early next summer, before another pack moves in to claim the territory, or rather, claim the beef. Thanks again Ruth, that Province piece is an excellent article. Shows the true cost (millions of dollars) to the livestock industry on both sides of the border. If you think steak is expensive now, just wait until next year. The eviro whackos will never believe the facts..doesn’t fit their ideology. Hey, like the “old days”. Environmentalists don’t seem to understand with the over-population of wolves comes the decimation of BIRDS. Yes, bird’s eggs are gobbled-up and so are the chicks, and sometimes even the adults. Here comes the “silent spring” again! Wolf menu includes almost everything that moves. Reminds me of the wind-turbines chopping-up hundreds of Golden eagles, and hardly a chirp from the vaunted environmentalists. Disgusting hypocrisy, but then again, when does the Left ever show any shame? Well, I had to get my two-cents worth. Stevens County Cattlemen’s Association has a “Wolf attack” photo gallery page worth viewing. There’s also a “take action” page for those who are interested in making their voices heard in Olympia. The elimination of the Wedge Pack in northern Stevens County last week has re-energized the pro-wolf lobby and put WDFW on the defensive. But beyond all the lobbying, the displays of ignorance, and the intentional twisting of facts, you have the “intelligentsia”, the truly elite environmentalists like Dave Foreman, the man credited with creating the concept of “rewilding” in the first place. (See footnote link #14 in original post). These folks know exactly what the consequences of wolf reintroduction are. In their mind, wolves are good, cattle and sheep are bad, and humans are even worse. Thanks for bringing forth this info on the danger of the rewilding impetus. One must really wonder why there’s such a push for an expanded/ing wolf population. But, then again, it seems there’s a corollary: it appears that the wolf population is simultaneously growing in the Church. The corollaries need more emphasis. We can see the clouds forming. We know the hour is late. Praise God for the Good Shepherd. We might climb the fences from time to time, but we are assured He will never forsake us, even leaving the 99 to look for the 1. Good article. Well-written and informative. The next time wolves are introduced into the environment, perhaps the US government will spend millions of taxpayer dollars by doing away with the re-wilding program, and instill a re-training program to teach wolves to eat grass and vegetables (as opposed to preying on four-footed animals, which is what carnivorous predators do!). On second thought, that won’t work, because the shortage of vegetation will upset the tree-hugging en-virus-mentalists, farmers, and TV cooking show hosts. By the way, didn’t grizzly bears once roam the south? And yes, as I indicated in the post, other large predators are part of the rewilding agenda as well. There’s even a paleo-rewilding branch that seeks to bring back extinct species. But fortunately for us, species that still exist are the current focus. Our biggest problem is that the public has been groomed to think this is all a good idea. Yesterday I made a tongue in cheek comment on another blog about bringing grizzly bears back into California to recolonize their former territory before the wolves move in. I’d love to see ursus horribilis roaming the beaches near Malibu like they did 500 years ago, wouldn’t you? I wonder how the rewilding supportive Hollywood crowd would react when a griz showed up at one of their beach parties? But don’t laugh. Grizzlies, jaguars, and even cheetahs, are indeed, part of the rewilding agenda. Wolves are just species numero uno. Top dog in english. Isn’t that God’s job, to make the lion and the sheep lie down together?